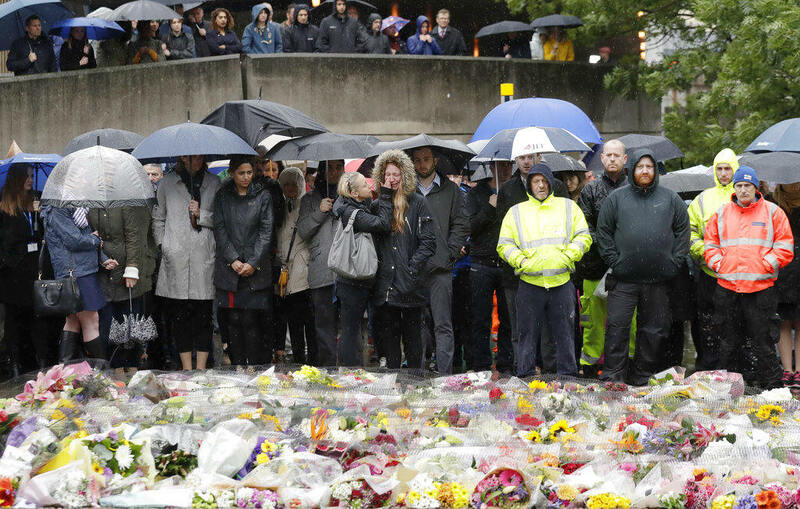 British security officials say hate crimes directed at Muslims have increased nearly five-fold in the wake of several attacks in Britain blamed on Islamic extremists. An official said Monday that counterterrorism officials were closely monitoring terror activity linked to far-right groups but most of the recent attacks have been traced back to individuals rather than groups. The person spoke on condition of anonymity because he was not authorized to speak about the ongoing investigation into an attack on worshippers outside a mosque in London. Ten people were injured when a 48-year-old white man plowed a van into a crowd of people leaving evening prayers. Police say they're treating it as a terrorist incident. In the past three months, mosques across Britain have reported several attacks against worshippers and places of worship. Prime Minister Theresa May has responded to complaints from some in the Muslim community that police failed to quickly respond to the attack on the north London mosque and declare it terrorism. Speaking outside her Downing Street office Monday, May said officers responded to the attack in one minute and declared it a terror attack within eight minutes. May says hatred and evil of this kind will never succeed and she says the government will "stop at nothing" to defeat extremism. Ten people have been injured in the attack on Muslim worshippers leaving the Finsbury Park mosque, with eight of them sent to hospitals. Police are investigating whether a man who died while being given first aid at the scene was killed by the attack or something else. UK Prime Minister Theresa May has described an attack on a north London mosque attack as a "sickening" attempt to destroy liberties that unite Britain, such as freedom of worship. May says the man who plowed a van into a crowd of people leaving evening prayers acted alone and that people outside the mosque apprehended him. Ten people were injured and police are investigating whether a man who died while being given first aid at the scene died from the attack or something else. May praised the resolve of the people of London in responding to the incident and said extra police resources have already been deployed to assure the public in a time of tension. Muslim leaders in London are appealing for calm after a van was driven deliberately into a crowd of worshippers leaving evening prayers at a mosque. Ten people have been injured, with eight sent to hospitals. Police are investigating whether a man who died at the scene was killed by the attack or something else. Toufik Kacimi, chief executive of the Muslim Welfare House, tells Sky News there is no "need to react with tension." Kacimi says the attacker shouted at the crowd, but that the local imam intervened to save his life. Kacimi says people grabbed the attacker outside the Finsbury Park Mosque and started hitting him. He says the imam "went there and saved him. He saved his life basically." Ten people were injured in the attack, which police are treating as a terrorist incident. Eight have been hospitalized. A 48-year-old man has been arrested on suspicion of attempted murder. Police say in a statement that a worshipper was receiving first aid outside the mosque at the time of the attack. He died at the scene, but they say it's not clear if he died from the van attack or something else. London police say one suspect has been detained in an apparent early-morning attack on worshippers standing outside a mosque. Police say incident has all the "hallmarks" of a terrorist" incident. Police said a suspect was quickly and calmly turned over to the police, and that no one else was found in the van. British Home Secretary Amber Rudd says police "immediately" treated a fatal incident outside a London mosque as a suspected terrorist attack. One man outside the Finsbury Park mosque died at the scene, a van driver was arrested and eight people were taken to hospitals following the early morning incident. Rudd, who is in charge for government law enforcement, said: "Londoners have been hit with a series of attacks and have been nothing short of heroic." she said Monday. 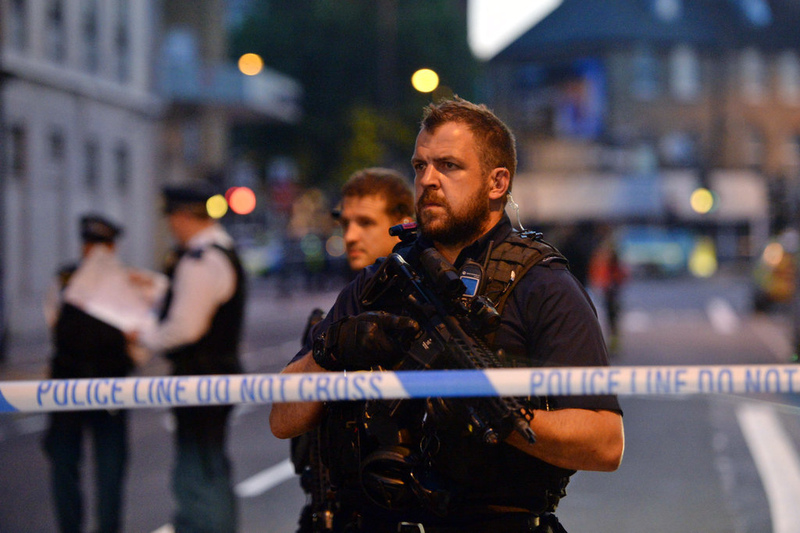 The chairman of the Finsbury Park Mosque, Mohammed Kozbar, has complained that the "mainstream media" was unwilling to call the attack a terrorist incident for many hours. British Prime Minister Theresa May says she will chair an emergency meeting Monday morning following a van crash in which a man died at the scene. Eight injured people were taken to hospitals, and a suspect was arrested. 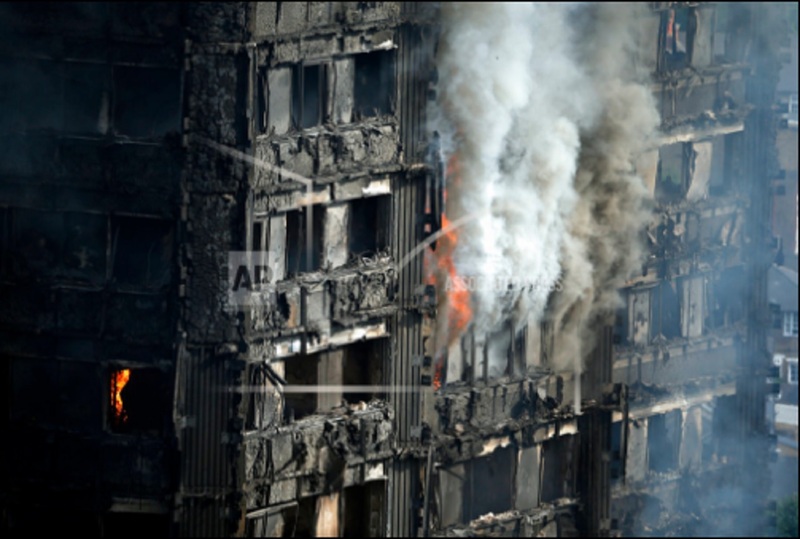 May said: "All my thoughts are with the victims, their families and the emergency services on the scene." The chairman of the Finsbury Park Mosque, Mohammed Kozbar, says the incident was a "cowardly attack" on worshippers. He complained that the "mainstream media" was unwilling to call the attack a terrorist incident for many hours. The force added: "Due to the nature of this incident extra policing resources have been deployed in order to reassure communities, especially those observing Ramadan." The chairman of the Finsbury Park Mosque says the van crash that hit worshippers was a "cowardly attack" and urged Muslims going to mosques to be vigilant. 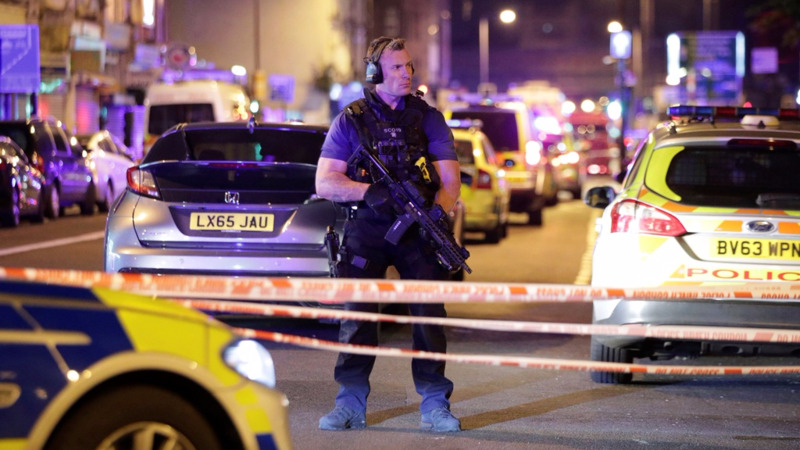 Mohammed Kozbar said the attack early Monday morning was no different than the recent attacks on London Bridge and Manchester Arena and said the Muslim community is "in shock." Kozbar complained that the "mainstream media" was unwilling to call the attack a terrorist incident for many hours. Police said the driver was arrested and the crash was being investigated as suspected terrorism. One person was killed and 10 were hurt. Video filmed in the immediate aftermath of a van striking worshippers near a London mosque showed a Caucasian man being detained by police. Someone in the crowd yelled to others not to harm the man while he was taken into custody. The video of the crash early Monday morning was accessed by the AP. Police have said the driver was a 48-year-old man who was arrested and taken to a hospital as a precaution. They are investigating the crash as suspected terrorism. Someone in the crowd is heard yelling, "No one touch him! No one! No one!" The crash occurred near the Finsbury Park Mosque as worshippers were leaving after Ramadan prayers. British Prime Minister Theresa May says she will chair an emergency session of the security Cabinet later Monday after a van crash in London that is being investigating as possible terrorism. A van struck several worshippers leaving the Finsbury Park mosque early Monday morning after Ramadan prayers. The driver was arrested and taken to a hospital as a precaution. May says police are treating the crash as a potential terrorist attack. One person was killed and 10 were hurt. A leader of the Muslim Council of Britain has called for extra security at mosques after a van struck worshippers leaving prayers at the Finsbury Park mosque. Police have said they are investigating the crash as suspected terrorism and have arrested the driver, a 48-year-old man who was taken to a hospital as a precaution. One person was killed and 10 were hurt. The group's general secretary, Harun Khan, said that eyewitnesses saw the van driver hit a number of Muslims. "During the night, ordinary British citizens were set upon while they were going about their lives, completing their night worship. It appears from eyewitness accounts that the perpetrator was motivated by Islamophobia," he said. Police say the driver of a van that hit pedestrians on a London road is a 48-year-old man who has been arrested and taken to a hospital. The van struck a crowd of worshippers leaving a mosque early Monday morning, killing one person and injuring several others. Eight of the injured were taken to hospitals and the rest were treated at the scene. Several hundred worshippers would have been in the area at the time after attending prayers as part of the Muslim holy month of Ramadan. Police said the Counter Terrorism Command was investigating the crash. Britain's terrorist alert has been set at "severe" meaning an attack is highly likely.